While these vegetables were new and exciting to Australians, they have been here in America for quite some time. 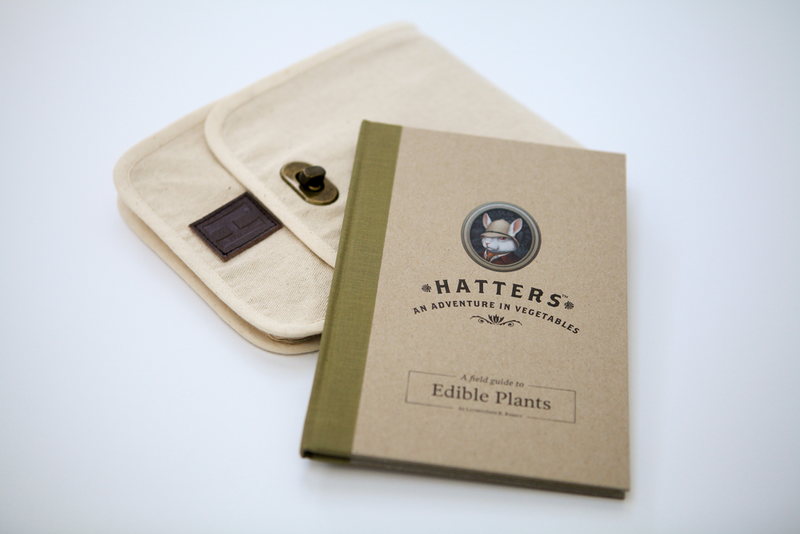 Explore Hatters recipes on Pinterest. 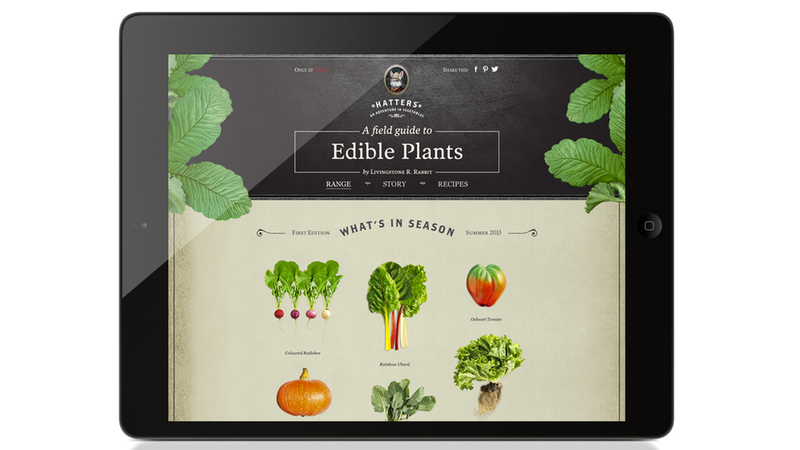 The brief was to create a niche heirloom vegetable brand for Australia's largest supermarket chain, Coles. In a cluttered environment and on a low budget, we needed to stand out. We used the odd-looking nature of the vegetables as our point of difference. 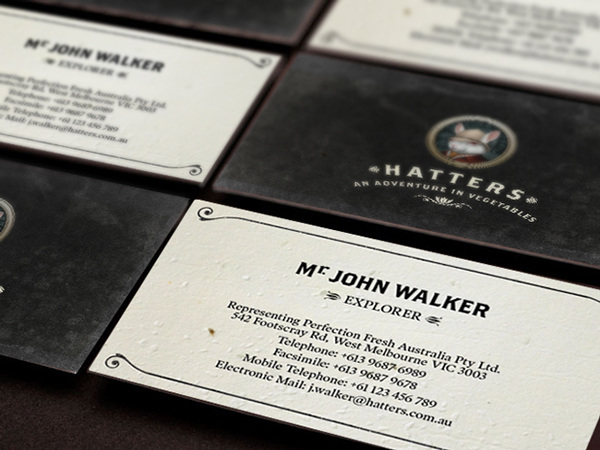 We called the brand ‘Hatters' to fit their uniquely mad look. 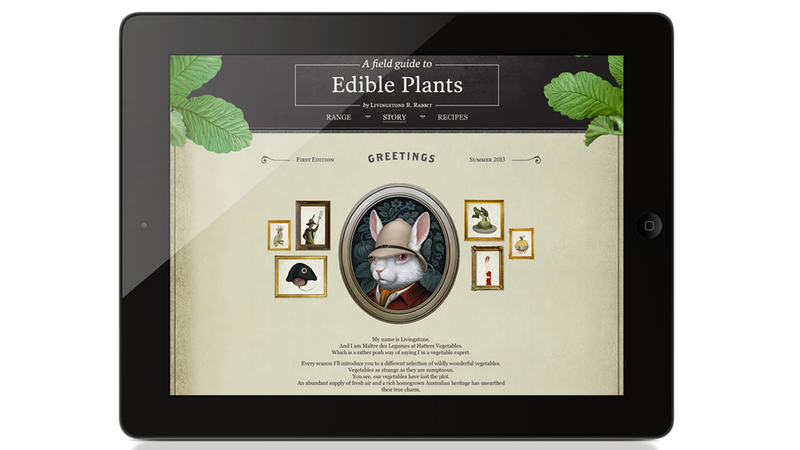 We then created quirky profiles for each of the vegetables and a vegetable expert named Livingstone R. Rabbit as our brand ambassador. 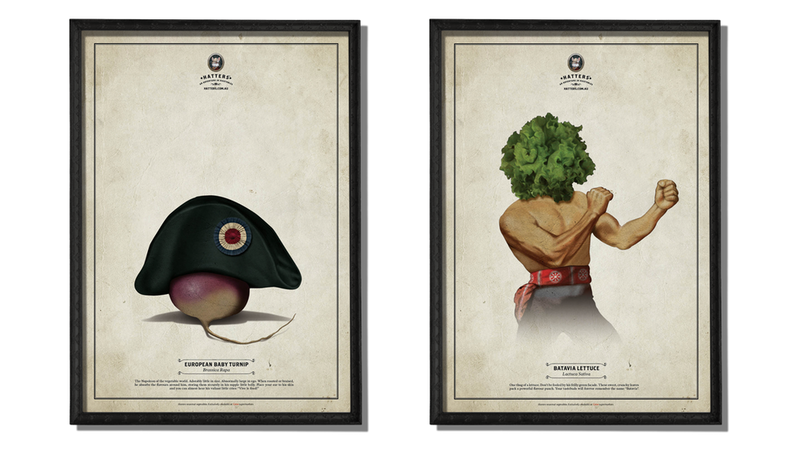 This was an award-winning campaign, most notably Cannes, 2014 for design. 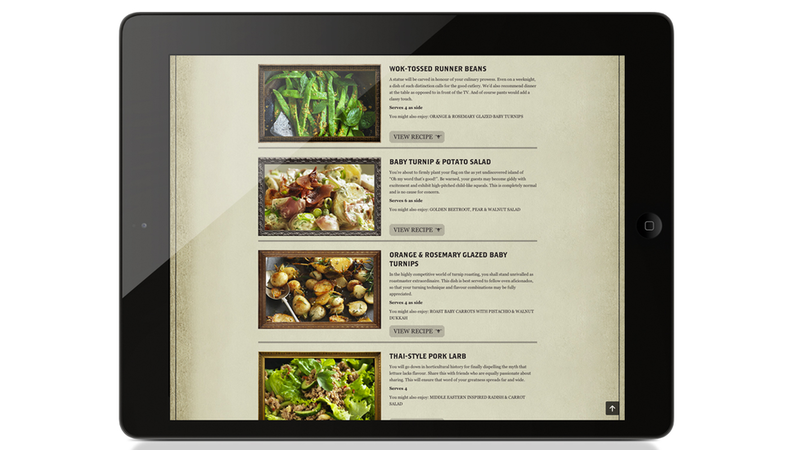 Recipes were developed in partnership with a leading Australian chef, then published in field guide-styled recipe books. 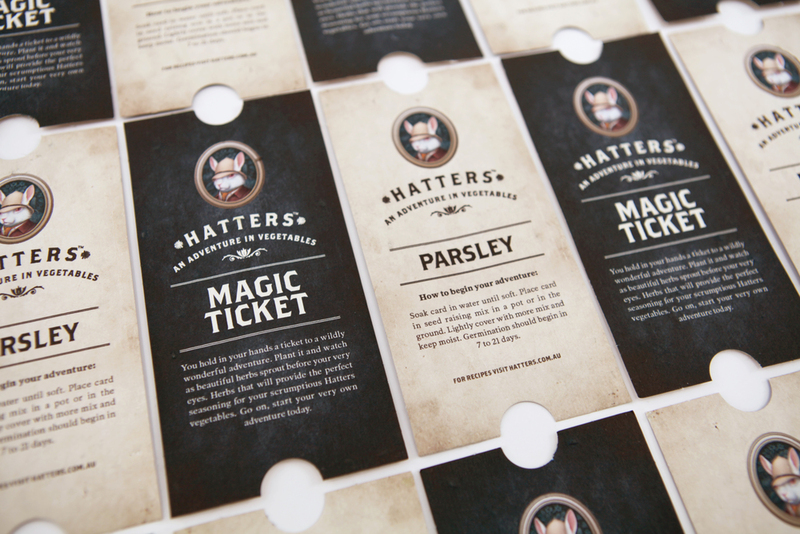 Customers were encouraged to grow their own herbs with our seed-impregnated business cards and “Magic Tickets”. In the first week alone, over 40,000 hatters vegetables were sold, totaling more than half a million dollars. This surpassed any equivalent premium product launch across Coles supermarkets. And with less than $5,000 spent on PR, we managed to reach over 9.2 million people.